It’s amazing to me that the theory of Evolution is still given as much weight as it is given even after the decades of research and non-existant proof that has yet to be found. I know that we don’t know it all yet, and that goes for both sides evolution and creation, I don’t think we will ever know it all. The Bible says in Deuteronomy 29:29 “The secret things belong to the LORD our God, but the things revealed belong to us and to our children forever, that we may follow all the words of this law.” Plain and simple this says that there are some things that we will never know or understand in our life, but that those things are for only God to know. I am tired of the scientific community making new claims and findings that they infer from the smallest bit of evidence or an educated guess about live thousands of years ago. They make the news for a day and then are gone into the forgotten library of tapes and archives never to be thought up again, until a liberal college professor assigns a paper on evolution. To this date there have been no transitional fossils (fossils that show evolution in process for example changing from a lizard to a bird) found, Darwin himself made comment that in order for evolution to be true there would have to be transitional fossils. 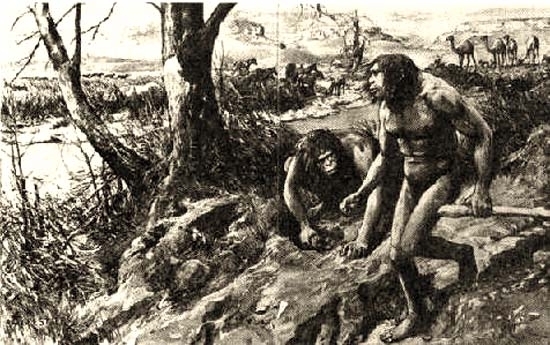 Similarly, the ape-man discoveries of Neanderthal man have been found to be rare examples of people with back and spine problems like rickets disease for example. The other findings such as Java man, Piltdown man, Peking Man, Nebraska man, and Lucy, all turned out to have similar stories or have found to be fake. My favorite story was Nebraska Man found in 1922, that was believed to be undeniable proof by paleontologist was all derived on a single solitary tooth! Drawings were made of this supposed link to the past. However, findings didn’t turn out good because some time later Harold Cook found another identical tooth, but this one happened to be attached to the skull of an extinct wild pig!! It was just a little over 500 years ago that people thought the world was flat, and Christopher Columbus was sailing off to his death in search of a new world. Just 60+ years ago the Nazi government got together and thought it was OK to slaughter millions of Jews. These are just some examples of science and “the majority” of where they were wrong, I have no doubt that there will be more claims and events like these in the future also. One of the reasons I believe that man has such a hard time giving up on the theory of evolution is that it is simply the only other choice to choose other than accepting the idea that the Bible is true and that God created it. Are we as people that hard to give up control and admit that we are not the top of everything. When we recognize the idea that God is the creator and sustainer of life and of the universe we live, we also have to entertain the fact that we are sinful imperfect people who need help and need a savior to help us out of the pit that we are in. I know I am a sinner and that if Jesus had died for me on the cross I would be in a heap of trouble. As for the question posed in my title, “Where did all the dinosaurs go?” I have the answer for you and it is… I don’t know. It could be an asteroid, a flood, and a few other things as far s I’m concerned, but I don’t let it keep me up at night. I look to the Bible and to my relationship with Jesus for answers and if I don’t have an answer to something I trust God that I don’t have to have all the answers. In writing this blog I feel led to write 2 follow-up blogs about why I believe in the Biblical creation story and why I do not believe in evolution. I will out line the proof that I have seen on why there is only one choice. This entry was posted on Tuesday, March 23rd, 2010 at 8:53 am and is filed under In The News, Religous and Life. You can follow any responses to this entry through the RSS 2.0 feed. You can leave a response, or trackback from your own site. 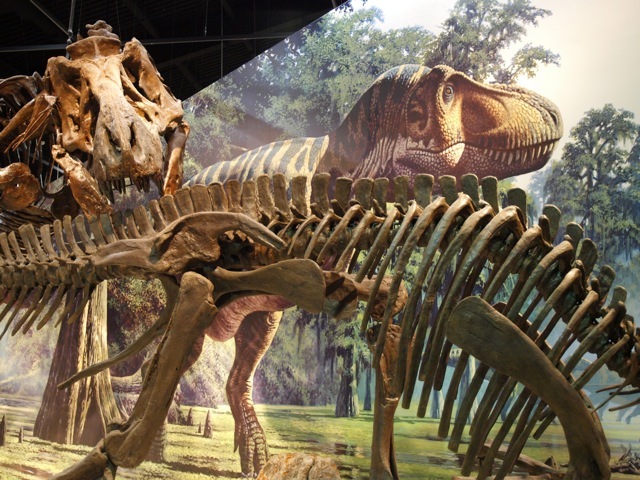 2 Responses to Where Did All The Dinosaurs Go? Thanks Ben for the opposing view-point. It was highly techical for me, but I think I saw the general point he was trying to make. I see where the genes were simular (41/42 markers) but to me the case of simular materials could be mae just as easily as genes being passed down. Like saying A Ford F-250 came from a Ford F-150. They use the same materials from the same maker, Ford, but both are different vehicles.